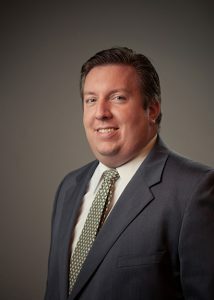 Sean M. Gresh is a member of Grim Biehn & Thatcher’s criminal and civil law departments. Sean concentrates his practice in the area of criminal defense, utilizing his former experience in the district attorney’s office. Previously, Sean served as a judicial law clerk to The Honorable Linda K.M. Ludgate, Court of Common Pleas, Berks County, PA and prior to joining the firm was a senior deputy D.A. with Bucks County District Attorney’s office. While working for the district attorney’s office, Sean tried numerous cases before both juries and judges, serving as the D.A. office’s Chief of Narcotics as well as Chief of Computer Crimes. Sean has been in private practice since 2007. In 2010, he was honored as one of Pennsylvania’s Rising Stars by Super Lawyers magazine. He is a native of the Hazelton, PA area.